Organizing forest owners, especially women in Norway has had great influence in creating a sustainable forest industry. Local forest cooperatives have also led to closer and constructive communication with the government, resulting in positive development of the forest industry throughout the country. Jannicke has a farm «Skjeggestad» far into the forests of southern Norway. It is 11 km to her mailbox and 25 km to the closest grocery store. She runs the farm and the forest with her husband. They grow grain and grass, raise red deer and sell the meat at the farm. The couple shares a strong interest for the forest and its many possibilities, both at home and at their jobs outside the farm. In addition to the farm Lars has a 60% position as the head of forestry in two nearby counties, while Jannicke works as the only female instructor at «Aktivt Skogbruk», giving both practical (e.g. for a safety certification course on the use of chainsaws) and theoretical classes on forestry. Jannicke thinks there are great advantages in having small private owners managing their forests. The owner often takes into consideration long term perspectives and future generations, while a large company might focus on short term profit. She also assumes small private ownership leads to a greater variety of activities and use of the forest, which can support biological diversity. 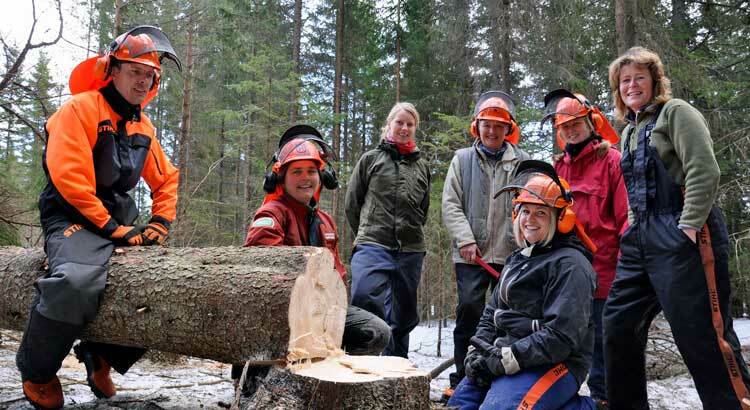 There are six regional forest owners’ cooperatives in Norway with around 36,000 members. The cooperatives are found throughout the country and are based on democratic principles with boards composed of elected employees and forest owners. 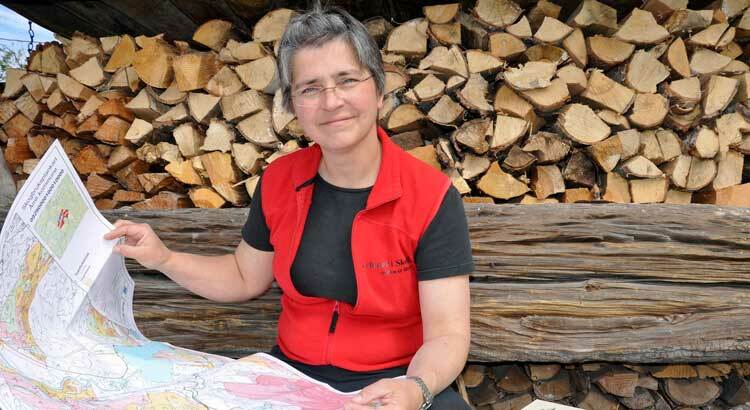 Jannicke is a member of the local forest cooperative «AT Skog» which she finds very useful, both as a source of information and as a trustworthy seller for her timber. Furthermore, AT Skog is professional, prices are reliable and problems can be solved should they arise. Norway’s Forestry Owners’ Federation is the umbrella organization for the six regional cooperatives located in Oslo. Its board consists of chairmen of the regional boards allowing important communication and cooperation among them. Besides performing various tasks for the cooperatives, the national federation conveys information to the general public and does very important political lobby on behalf of the forest industry and forest owners. Laws and taxation of the Norwegian government particularly adapted to forest owners eases long term planning for forestry. For example, after harvest, owners are obliged to set aside a tax exempt percentage of the profit. This forms the bases of a forest fund called «skogfondsordningen» that can later be reinvested in the forest (education, tree planting, building roads, etc.) and often so with additional funding from government projects. This funding and taxation system is one of the topics Jannicke teaches as it is a very important financial tool. Another thing that is legally mandatory after harvesting is planting trees or securing regrowth. Cooperation between government, forest owners and their partners has also facilitated the development of strict environmental rules for forestry. Under the cooperative «AT Skog», Jannicke is currently teaching local forest owners a class on PEFC Standard. These are guidelines developed by forest owners and forest industry to secure environmental protection. The standard is also used as a market differentiation criterion for selling timber. In her class only 2 of 42 participants are women despite the fact that every fourth forest owner in Norway is a woman. This imbalanced attendance of her class illustrates the need for another organization, Kvinner i Skogbruket (Women in Forestry in English) that Jannicke used to manage and is still involved in. This is a non-profit organization with the goal to motivate women at all levels within the forest industry to become more engaged and good forest representatives. Jannicke thinks it is important more women engage in forestry thereby helping renew a somewhat old fashioned industry in Norway. She says every forest owner is an important ambassador, and by involving more women, it would be easier to reach out to a wider public to better promote the forest industry. While the local forest cooperatives provide a professional environment, they also lobby local politicians. The influence could probably be even greater with more women involved. In addition, today an industry’s image is very important. he fact that forestry seems to be run by men Jannicke thinks it might be considered old fashioned and visibility of women foresters might make it more attractive. closer to cities access is facilitated by forest owners and by a law called «friluftsloven, (“Public right of access law”) securing use of land for recreational matters to everyone even if it is private property. 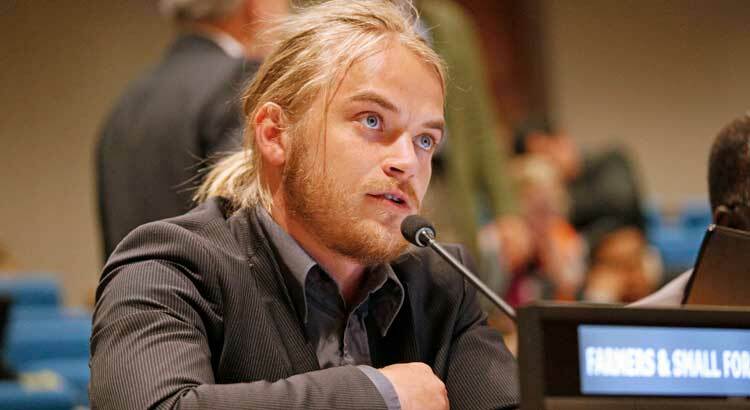 Jannicke believes organizing forestry in Norway through family forestry has had great influence in creating a sustainable forest industry. Private ownership through local forest cooperatives has also led to closer and constructive communication with the government, resulting in positive development of the forest industry throughout the country. Jannicke works as the only female instructor at «Aktivt Skogbruk», giving both practical (e.g. for a safety certification course on the use of chainsaws) and theoretical classes on forestry. Jannicke thinks there are great advantages in having small private owners managing their forests. On Sunday the 9 of Marsh 2019 died in the crash of an air flight between Addis Abeba and Nairobi on his way to an IFFA conference on Family Forestry and Climate Change. 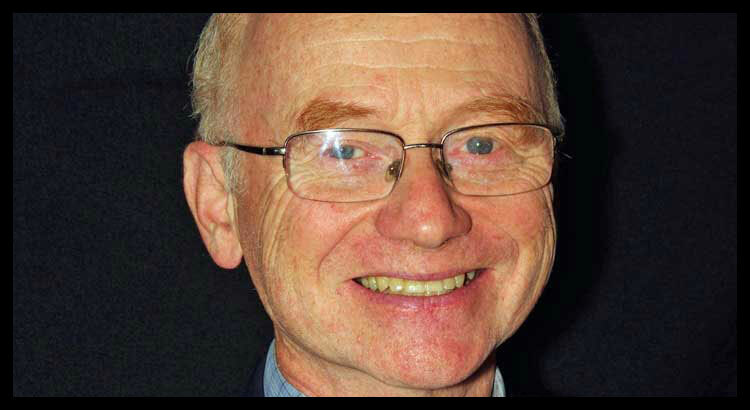 Peter deMarsh was President of the International Family Forest Alliance IFFA, since 2011. IFFA’s work shows how family forest owners and smallholders play an essential role in collaboration with other major groups to push for sustainability in international forest politics. IFFA is committed to the development and implementation of international communication strategies. This was the main message when IFFA chair Peter deMarsh addressed the United Nations Forum on forests. 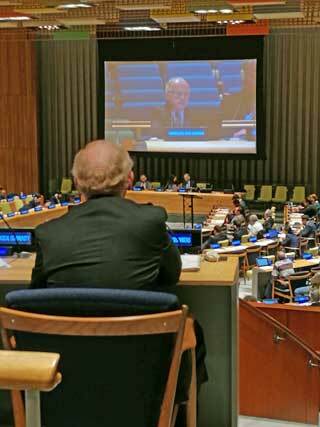 The 13th session of the forum was held in New York 7 to 11 May 2018.